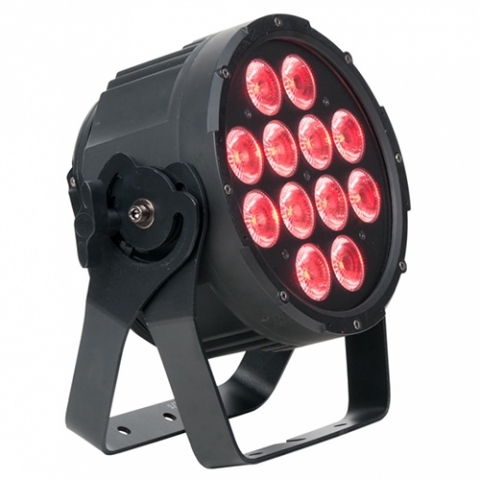 The SixPar 200 features (12) RGBAW+UV LEDs with 15 and 25 degree beam angles. It also has electronic strobe and dimming (0-100%), 5 variable dimming curve modes, multiple unit power linking, remote device management and flicker free operation for TV and Film. Please note that this is the indoor version, not the outdoor IP rated version.